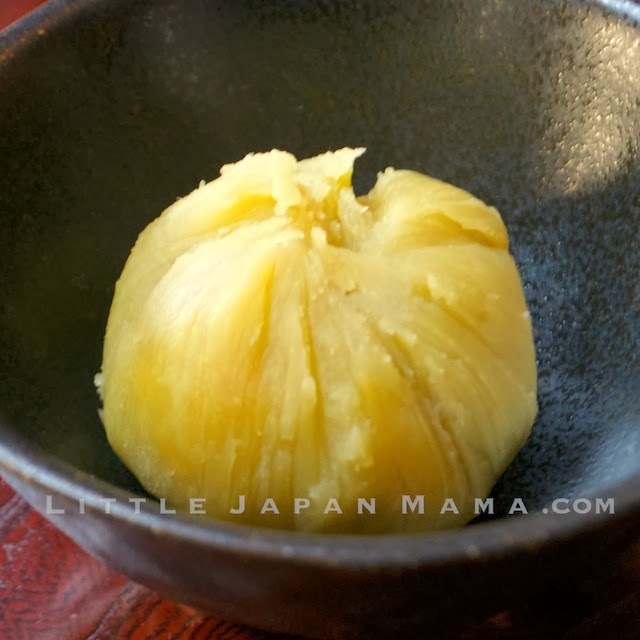 A sweet paste of candied chestnut and Japanese sweet potato, kurikinton has a unique, delicate flavour that is enjoyed by adults and also makes a yummy treat for my kids. As a part of New Year celebrations, its golden colour makes it a symbol of wealth and prosperity in the coming year. If you can't get Japanese sweet candied chestnut, just make it with sweet potato. 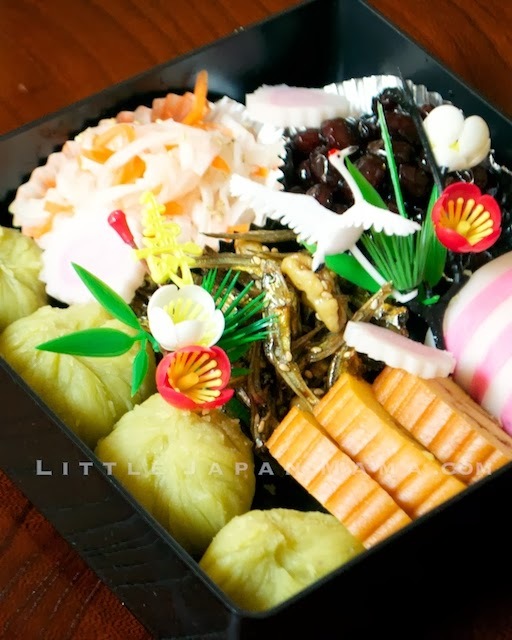 It is still delicious and will look good in your New Year juubako box. It keeps well in the refrigerator for a few days. 1 Jar of Japanese sweet candied chestnut. 1. Cook and peel the sweet potato: Peel the skin, chop roughly and place in a saucepan with just enough water to cover them. Boil until soft. Drain water. 2. Mash sweet potato with a potato masher. Gradually add the syrup from the jar of sweet candied chestnut. Keep mashing until very smooth. 3. To get it extra smooth, scoop it into a strainer and press through with a spatula, returning it to the saucepan. 4. Place over low heat and keep stirring and kneading with the spatula. Add salt, mirin and sugar to taste. The amount of sugar depends on the sweetness of the sweet potato. 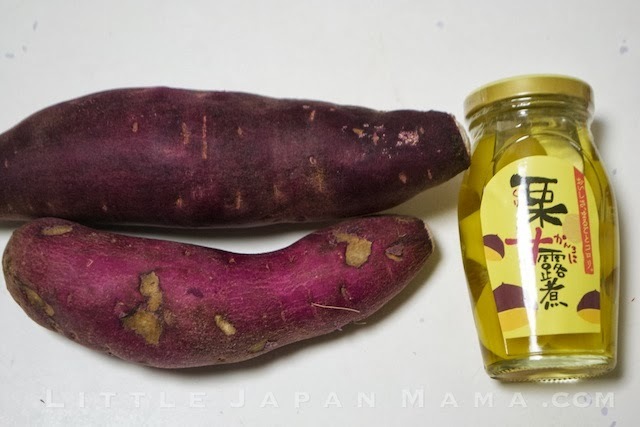 In Japan the sweet potatoes are quite sweet so I only added about 2 Tbsp mirin and no sugar. In Australia, the sweet potatoes were not as sweet, so I added about 1/2 cup sugar. Add chestnuts and keep stirring over low heat for another minute. Just scoop onto a small individual serving plate. To make into chestnut-shaped balls like mine, place a heaped tablespoon into the centre of a large sqare of plastic wrap. Bring the edges of the wrap together and twist together at the top, to create a chestnut shape. Refrigerate until an hour before serving. I like serving it this way as it is easier to serve individual portions, and I like the neat look.